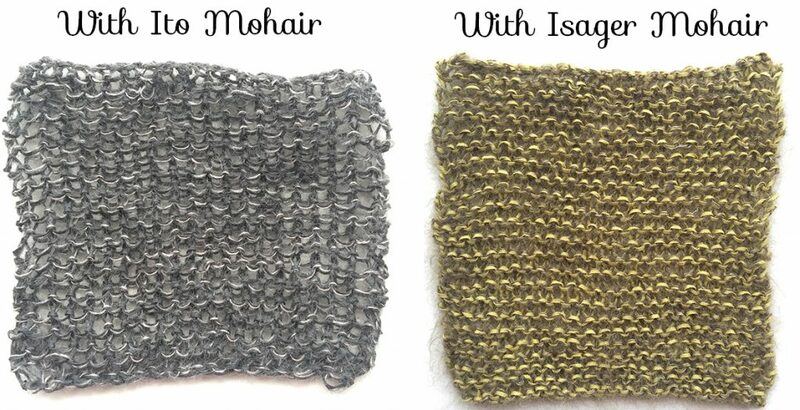 Here are two gauge swatches for Blink, each using cotton Japansk, held together with mohair. The mohair on the left, in grey, is Ito mohair. The mohair on the right, in green, is Isager mohair. I used the same size of needles for each swatch. 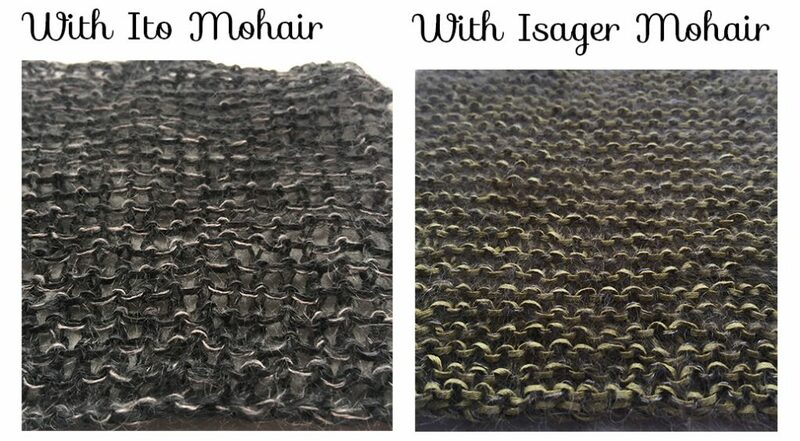 You will notice that the Ito mohair is more open looking, less dense. This will also change the drape. 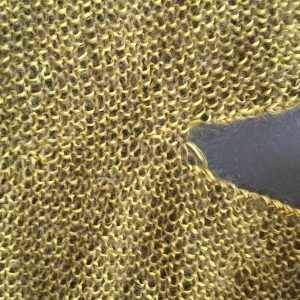 The Ito Mohair will be drapyer at this tension. To make it a similar tension to the Isager sample I would have to use a smaller needle. This would mean the gauge would be different than the pattern but I could knit a larger size. These are the tensions I got on these two swatches after washing. It’s tricky to take a measurement on these swatches because you can pull it the stitches into many configurations. Certainly the more open, Ito mohair may grow a little in length with wear. 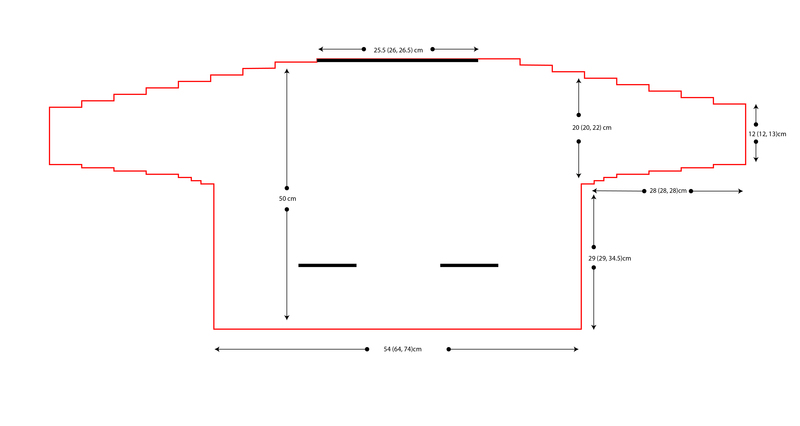 a good video tutorial of the Afterthought Pocket can be found here. Stitches can get lengthened when they are held and then picked up and later. This is often seen at the turning of a sock heel or the beginning of a thumb. In knitting Blink, we found this can happen at the edge of the neckline and at the pocket edges. 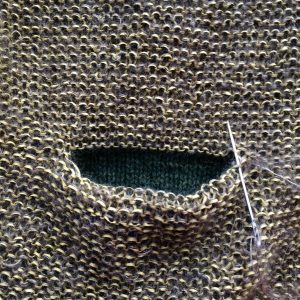 A good fix is to duplicate stitch over the lengthened stitches with just the mohair yarn (the silk makes it strong). Make the duplicate stitches the “correct” tension and it will pull the knitting together so there are no holes.